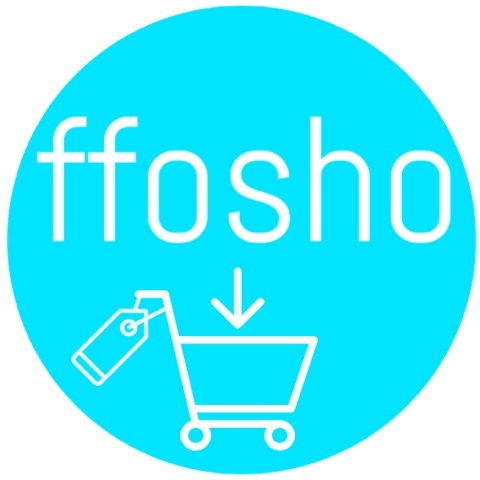 I recently took part in a little shopping challenge on a new haggling website called FFOSHO, basically the site shows you the highest price on an item and you have 2 minutes in which to haggle them down to a lower price, they claim that the better you are at haggling the better discount you get. The site has a good range of products for sale from toys to kitchen electricals to iPads, I had a play around with with the bidding and found that the higher the value of the item the better the deal. The shopping challenge was against my good blogger friend Jenny from Monkey and Mouse we each chose an item for between £25 and £30 and whoever saved the most money won. 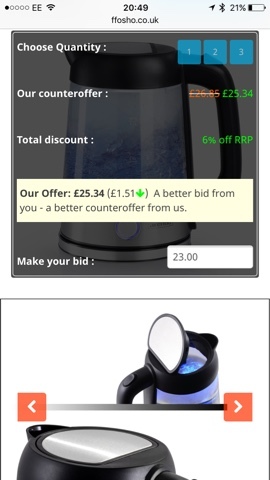 I chose a kettle to bid on and managed a 6% discount, personally I felt it was a bit of a faff for such a small percentage, I'd rather know what I was paying up front, whilst the bidding only takes a couple of minutes I must admit, this bored me. Jenny on the other hand really enjoyed the haggling process and got a fantastic 22.8% off the toy she was bidding on! So I think it's all down to whether you like this style of shopping. I did have a good look around to see if I could purchase my kettle cheaper elsewhere and could not find it cheaper, when you consider that that postage & packing is free it does make for more of a bargain. Jenny had a go at haggling for some larger items such as an iPad and found she saved much more and got it less than anywhere else, this reinforces our theory that the higher priced the item, the better the deal. I don't think that this method of shopping would become my first port of call for smaller items as I much prefer to just be given the best offer price rather than have to haggle for it, however, if I were in the market for a larger electrical item I think I'd definitely look at FFOSHO first.